Borussia Monchengladbach astounded football pundits around the world with their shock victory over impending Bundesliga champions Bayern Munich. What a result! It did nothing to soothe what was an already poor week on the punting front and little to the overall title race, but it did serve to highlight the problems that Bayern face without Robben and Ribery and perhaps embolden fellow Champions League quarter-finalists Porto. Elsewhere, Wolfsburg failed to capitalise on a gift opportunity to close to gap behind the Bavarians while Dortmund picked up a hard fought three points on the road. Wolves missed out on points in their last outing, succumbing to the charm of draw specialists Mainz and passing over a chance to narrow what is, in all likelihood, an insurmountable gap at the top of the table. Despite a recent dry spell for Dutch striker Bas Dost, victories over Inter Milan either side of a win over Freiburg sees Wolfsburg in decent form. Stuttgart picked up their first win in ten matches before the international break, a drought stretching back to last year. However, they still prop up the Bundesliga table and should prove no match for a powerful Wolfsburg side. The home side to tipped to come up trumps at 9/20. 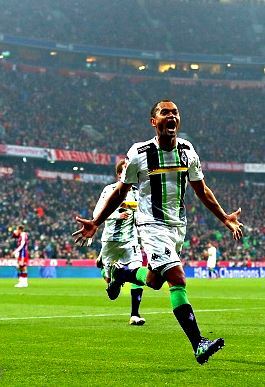 A Raffael brace stunned spectators at the previously impenetrable Allianz Arena as Gladbach recorded an historic 2-0 win against German champions Bayern Munich. The Brazilian admittedly capitalised on grievous errors from Manuel Neuer but nevertheless put in an amazing performance that fully deserved two goals. Favre and his men are now on a five-match unbeaten run and looking almost certain to book their place in the Champions League next season. Hoffenheim held their nerve for a goalless draw with Paderborn after going a man down and although they missed an opportunity to move into the top six, will feel pleased to come away with a point. A tough one to call as Hoffenheim are tough customers on their home patch, but they probably don’t have enough to down a Gladbach side riding a wave of confidence. I’m leaning with Gladbach to win or draw on the Double Chance at 5/10. 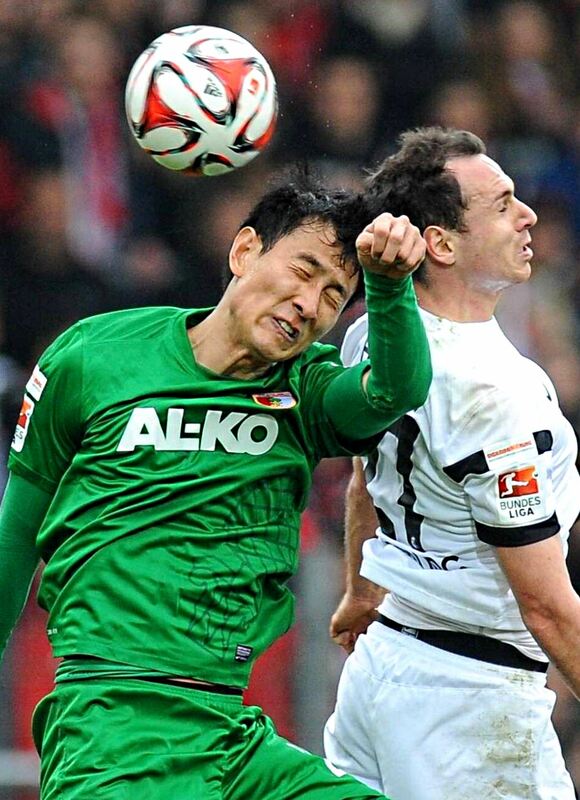 Freiburg recorded a crucial win over Augsburg to ease the pressure in their battle against relegation. Both sides threw caution to the wind in the opening exchanges but it was two goals in the final twenty minutes that sealed Freiburg’s victory on the back of a steely defensive effort. Cologne came from behind to draw 1-1 with Werder Bremen at home. It was a late penalty that gifted Cologne the lifeline and the point sees them relatively safe from relegation. Central defender Wimmer is currently in talks with Tottenham but his side will urge him to keep his focus as the season draws to a close. This is bound to be another tight encounter and it seems that opting for Under 2.5 goals at 11/20 is the best play to make. Mainz were back to doing what they do best last week; picking up a point and holding a more established side to a draw. That is twelve stalemates over the course of the season so far. They opened the scoring early against Wolfsburg and invited the away side to come at them, suffocating Wolves until Luiz Gustavo brought them level. Werder Bremen will still be kicking themselves for giving away a late penalty and missing out on three points at Cologne. The win would’ve seen them two points off the top six but instead the draw makes Europe seem a far more distant prospect. They were the better side for much of the match last week and it was only their complacency that let them down. I’m backing Werder Bremen to pick up the win at home at a valuable 14/10. It was yet another lonely day on the road for Frankfurt as they conspired to lose to bottom-of-the-log Stuttgart in their last outing. It ensured that their woeful travel record continued and Frankfurt now seem destined to land up in mid-table after a promising campaign. They’ll be pleased to be back at home against a Hannover side who gave Dortmund a solid run for their money but ultimately lost out to the more experienced Bundesliga outfit. It only served to heap more pressure on boss Tayfun Korkut as the side capitulated after being reduced to ten men. A Stindl brace was greeted by news that he will be leaving to Gladbach next season. You have to fancy the home win here. Back it at 19/20. Leverkusen find themselves firmly in the Champions League driving seat as they managed a 1-0 victory over Schalke, drawing six points clear of Di Matteo’s men in fourth-place. 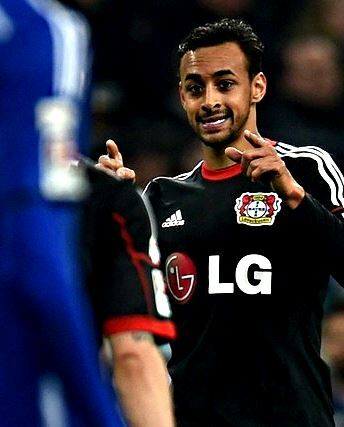 Karim Bellarabi netted in the first-half to take Leverkusen to five matches unbeaten in the Bundesliga. Bayer also kept another clean sheet, making it four consecutive outings without conceding a goal. Hamburg were reduced to ten men and then let in a late goal to leave themselves level on points with Freiburg in the relegation playoff place. For all their industry, they lacked a first-half goal and were made to pay for their ill discipline later on. It seems unlikely that they will trouble a powerful Leverkusen side and the home win must be backed at 7/20. Here’s a fun fact. Bayern’s defeat to Gladbach was their first meaningful loss at home in the league since October 2012. Indeed, it was only the second time they have failed to pick up any points all season. Pierre-Emerick Aubameyang was on target twice on either side of a Shinji Kagawa goal as Dortmund rose to the challenge against Hannover, giving their European ambitions a boost. That’s twelve Bundesliga goals this season for the Gabonese forward, who will be expected to deliver more of the same or see his side at risk of sitting out of the Champions League. After being eliminated by Juventus, it is their only chance of qualification and looking grim. Aside from the reverse fixture, Dortmund have had a solid record against Munich in recent times. Home ground advantage will count in their favour but perhaps most importantly, the absence of Arjen Robben and Franck Ribery from the Bavarians forces Guardiola into a different tactical headspace. Munich posses an array of talent in replacement but they looked lost against Gladbach without their treasured wingers. Perhaps this seems a bit bold but I’m calling a Dortmund win at 5/2. I’m not sure when last Bayern lost two on the trot in the league but Dortmund truly look good value to pull off an upset. Augsburg had their hopes of Champions League qualification dented significantly with a loss in their last outing with Freiburg. They remain in sixth-place which is already uncharted territory for the club and they’ll be quite content with a place in the Europa League, especially considering recent form. They’ve been off the mark of late and can count themselves lucky that their Hinrunde, as well as their home matches, have been profitable. Schalke are only a point above their opponents and Di Matteo’s “six-pointer” against Leverkusen amounted to nothing. They now face an uphill battle to remain in the Champions League and one suspects that Di Matteo’s job also hangs in the balance. Augsburg are difficult to beat at home and neither side will budge an inch in what looks set to be a tense encounter. I like the Under 2.5 goals market at 8/10 in this one. The Old Lady grabbed a last-gasp goal to gain victory over a ten-man Hamburg side that had no answer as Berlin attacked ruthlessly with the extra man. Paderborn dropped into the Bundesliga bottom two as they failed to capitalise on a ten-man Hoffenheim and are now without a win in five matches. The two sides have only met five times previously, sharing the spoils with two wins apiece and one draw. However, Paderborn are yet to pick up three points in the capital with one loss and one stalemate and have failed to hit the back of the net since mid-February. That’s five long matches without a single goal, conceding fifteen. Back Hertha Berlin to come out on top at 9/10.